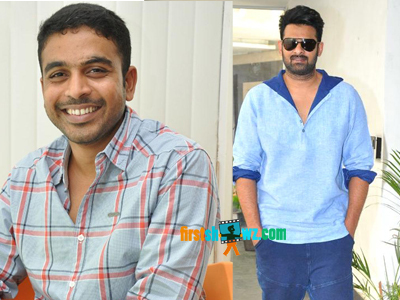 It is known news that Young Rebel Star Prabhas is doing a film with director Radha Krishna Kumar, and there have been several rumors on the plotline. The director has now revealed the film's plotline. Informing the news on second schedule wrap, Radha Krishna Kumar stated that the film 's story is a classical tale of two timeless lovers. The Jil Movie director tweeted, "Done with the 2nd schedule of #prabhas20 #A classical tale of two timeless lovers set in the twilights of 1970’s Europe. #Prabhas2020" With the film set in Europe backdrop, major shoot schedules are being carried out in exotic locales. The next schedule however is likely to be filmed in Annapurna Studios for 20 days. Pooja Hegde is the heroine in #Prabhas20 Prabhas 20 tentatively titled Jaan is co-jointly produced by UV Creations and Gopi Krishna banner. Jaan is being planned for summer 2020 release. Prabhas meanwhile is also shooting for Saaho film taking shape in the direction of Sujeeth casting Shraddha Kapoor as heroine.